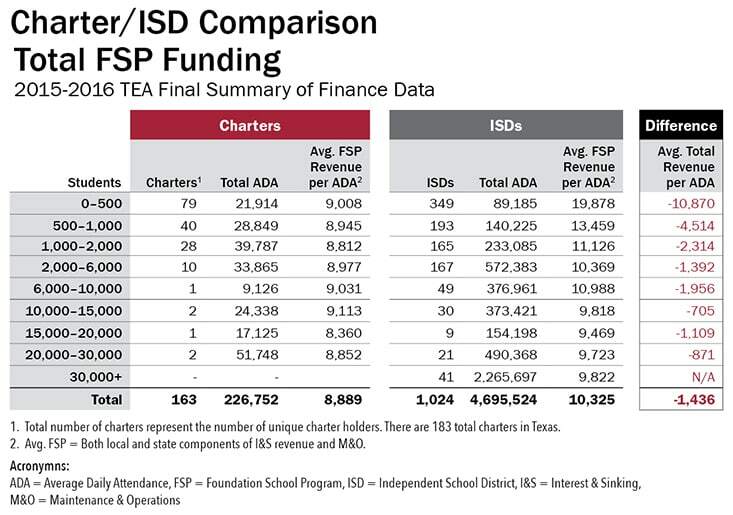 Texas Charter Schools Association – How are Charters Funded? Charter schools receive state funds based on the average daily attendance of students (same as traditional public schools). However, they do not receive funds from local tax revenue and the majority, including Texas charters, do not receive state facilities funding. A recent independent analysis of revenue differences between charter school districts and independent school districts reveals a persistent funding gap exists. What is the Purpose of Charters?